STEPHENVILLE (November 9, 2014) — Stephenville and Dublin are area champions in their respective volleyball playoff brackets, and compete in regional quarterfinals at 7 p.m. Tuesday. In 4A Region I, Stephenville faces reigning state champ and No. 1 ranked Decatur at Weatherford High School. The winner advances to the regional tournament next Friday and Saturday at The Coliseum in Snyder and will face Dalhart or Big Spring in a regional semifinal. In 3A Region I, Dublin meets former district foe Breckenridge at Mineral Wells High School. The survivor moves on to regional tournament play Friday and Saturday at Abilene Wylie High School and faces Alpine or Denver City in a regional semifinal. 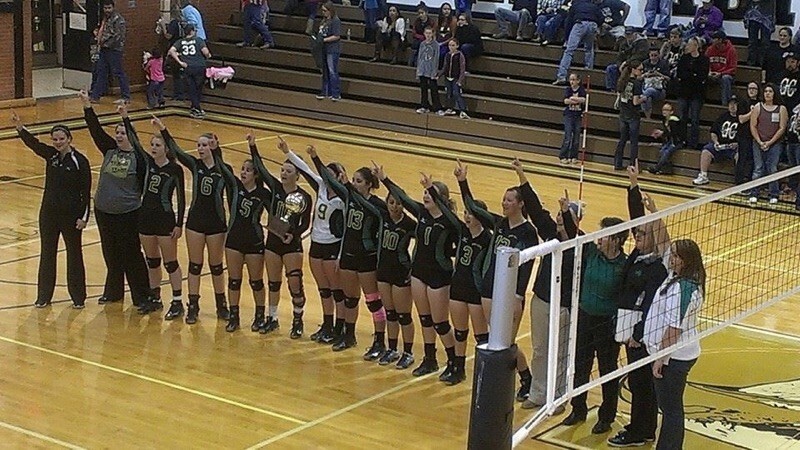 Stephenville defeated Godley in four sets for its area title in Brock Thursday night. Dublin made quick work of Grape Creek in a straight-sets victory in Abilene Saturday.